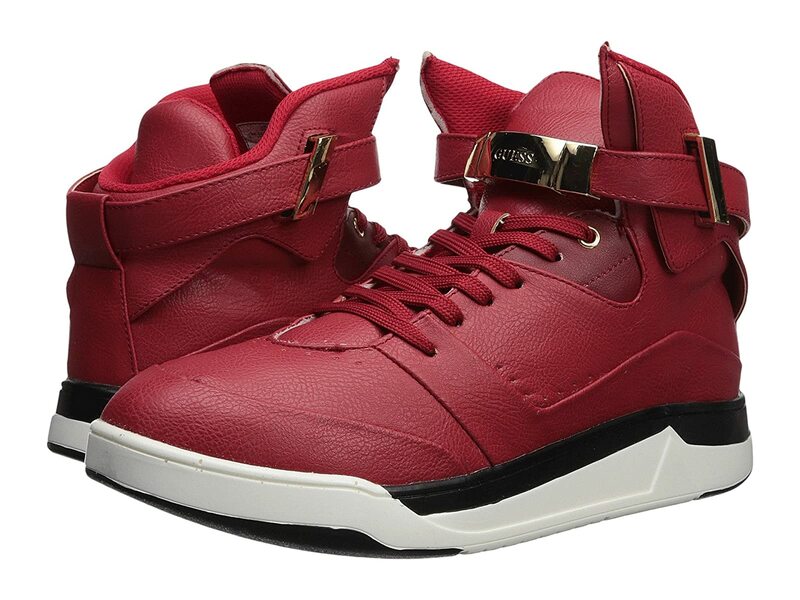 Update your modern-cool factor with the GUESS® Webber high-top sneaker. Lightly textured man-made upper material. Buckled, logo-embossed strap over instep.